For as long as anyone can remember, California has had a strong reputation for designing and testing bold reforms. From the standards movement to accountability to charter schools, California has initiated policies aimed at improving educational outcomes for all children. But recently, faced with crippling budget cuts, we’ve struggled to maintain our current practices, let alone take on exciting new ideas. Today, with the worst of the budget cuts behind us and two new state policies promoting more local autonomy over financial and programmatic decision-making, we are entering a new era with the potential to revitalize public education. California’s adoption of the Common Core State Standards affords significant leeway to school districts in how they address the transition. The state’s new Local Control Funding Formula promises a sea change in the relationship between the state and districts, and therefore between districts and schools and the communities they serve. Together these two initiatives represent a whole-system change that could disrupt how schools are run in California – from the California Department of Education down to the individual school level and everywhere in between. This disruption is a good thing. It has the potential to address the achievement gap that has persisted in California for decades, and to empower families and communities to partner with educators to create school programs tailored to local needs. But these initiatives also pose major design and implementation challenges, and the traditional ways districts support schools, measure student outcomes and hold schools accountable for results all must change. With the magnitude and complexity of these changes, it is tempting to address each change in our traditional organizational silos, to allow the curriculum and instruction experts to manage the changes related to the Common Core standards, and to leave the new funding system to the budget or finance office. While the two might seem like distinct programs that require separate approaches to implementation, they have more in common than may be obvious on the surface. There is a great benefit to addressing the changes together. For both the new standards and the new funding formula, school districts are required to engage their stakeholders to develop plans for the changes called for under each initiative and to improve student achievement. The stakeholders are the same: teachers, students, parents, union representatives and community-based organizations. This means that districts are being held accountable to school communities in a formal way that can feel high-risk and complicated. But it also provides an opportunity to develop a coordinated plan to conduct this engagement. This plan should include training for staff that will be working directly with communities, a system for gathering and reporting the feedback received, professional development for site leaders who will be shouldering the bulk of the changes, and development of a clear and consistent picture of what new freedoms and responsibilities school sites will have, and why. The shift to more local autonomy requires a corresponding shift in practices and systems at the district central office. For example, while the district departments responsible for curriculum and instruction tightly managed earlier standards-based curricular reforms, many districts have decided to allow school sites to drive Common Core implementation efforts. This will require a different structure, a new mindset and new skills at both the school and district level. The new funding formula creates a similar shift for district fiscal services and budgeting departments. They must develop transparent budgeting processes that allow sufficient time for community engagement and new systems for monitoring school-based funding decisions. Finally, with the shift to local control, there will be an increase in local accountability. The goal of both Common Core and the new funding formula is to improve student achievement, particularly of our highest- need students. This means schools and districts need to regularly assess (and make necessary adjustments to the plan for) student outcomes like achievement on assessment tests, attendance and discipline. Adding to the complexity is the recent decision to pause state testing during the transition to the new standards. So, while both Common Core and the new funding formula require districts to demonstrate a positive impact on student achievement, there will be no standard measure of that achievement for at least the next two to three years. While this can be scary, it marks an opportunity for districts to determine the best way to assess student achievement. There is a real risk that the individual plans for each initiative will work at cross-purposes. But breaking down silos and working together provide a great opportunity to create a systematic and coordinated approach to both reforms. This is the best chance districts will have to ensure that staff and community buy into strategies to support student achievement. It also ensures that districts are both more supported and clear on how they will be held accountable for results. Taken together, the Common Core standards and the Local Control Funding Formula will work better and have a greater impact on how our schools serve students than if they are approached separately. 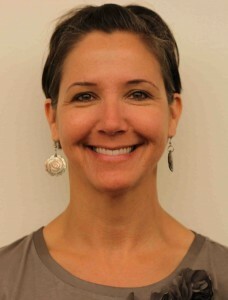 Megan Sweet is Director of Education Finance Reform for Pivot Learning Partners. In that capacity, she leads Pivot’s work on the Planning, Budgeting and Accountability for Resources (PBAR) Program, and provides analysis of statewide policies, including the Local Control Funding Formula. She has been a middle school teacher, an assistant principal, a partner supporting local school reform, and most recently a central office administrator. Very informative and well written. I’m so happy you are in the educational mix helping to make our school systems run more effectively. California’s new school funding formula, enacted in 2013. Actual funding allocations, when available, will be available via the Principal Apportionment page. The allocations have been made and can be examined at that Principal Apportionment web page. Are they not considered real because there are no regulations yet on dictating how they must be spent? It is real money, isn’t it? One parallel: lower level autonomy. CCSS espouses empowered teachers but will schools and districts really change their ways? I doubt it. Too many years of specifying objectives and standards and the minutiae of teacher behavior. LCFF espouses district autonomy but that is in doubt, too. Ed Source has had a deluge of commentaries warning about giving districts too much latitude. Gotta rein ’em in before they spend the money on something not approved by Sacramento. Both talk the talk but won’t walk the walk. And think of all the consulting fees Pivot will garner in the process…..